In the year 2008 the documentary called “Psicofonías: Las Voces Desconocidas” was shot by the film director Jose Moral. This was about the voices of dead people where echoes of spirits leave us some footprint after death. Humankind has believed during a long time that it is possible to communicate with dead people. Over the years , seances, mediums and psychics have been possible instruments to make contact with the afterlife. So, EVP is an espiritual footprint and a communication link to the soundtrack in this documentary. 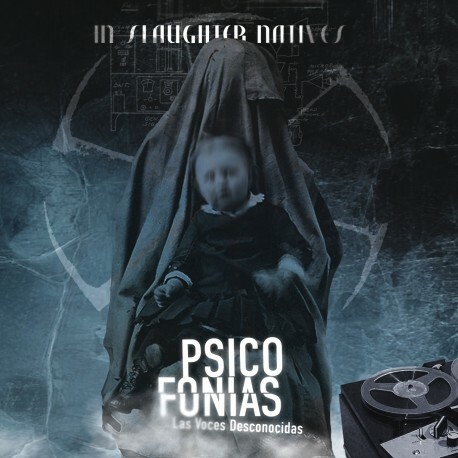 This one relies on some of the most important projects of the Dark Ambient Industrial music: In Slaughter Natives, which is a pioneer in the symphonic industrial field and part of the legendary label Cold Meat Industry. This music project is formed by Jouni Havukainen who carries out an outstanding and deep work full of aspects where in some parts we can listen the voices of dead people.